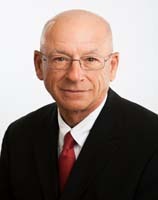 Bob joined Cushman & Wakefield/Pyramid Brokerage Company in May of 1988. Prior to joining Pyramid Brokerage Company, Bob spent 27 years with a large northeastern agricultural cooperative where he held a number of senior management positions in the Energy Division, Wholesale Distribution and Retail Store Operations. Bob is a graduate of SUNY Delhi and holds a degree in Business Management. Bob Chairs the Executive Committee and works as Chief Operating Officer in which his primary role is leading the development of the strategic plan for the company, and then leading the implementation of that plan. He also develops, advises and consults corporate clients. Bob is a past Board member of the Morrisville Eaton High School and Morrisville Community Church. He is a past Board member of SUNY Morrisville, Business and Entrepreneurial Studies program, is currently a Board member of the President’s Council and is a recipient of the SUNY Morrisville President’s Medal of Distinction.